The famous palace complex of the Roman Emperor Nero is being restored by the Parco archeologico del Colosseo (MIBACT) since 2009. The project is supported by the German Archaeological Institute in Rome. 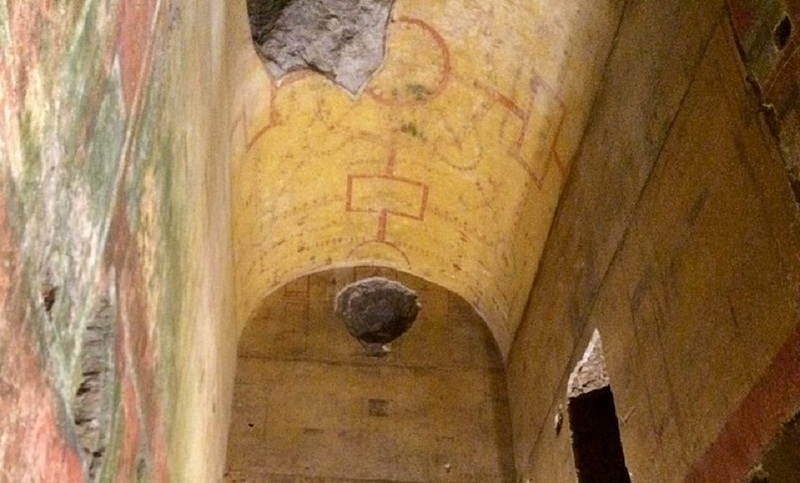 To understand the story of Domus Aurea, the “Golden House”, one must go back to a summer’s night between the 18th and 19th of July in the year 64 AD. That night, as Tacitus (c. 56 – c. 120 AD), senator and a historian of the Roman Empire, tells us in his annals, a fire broke out in ancient Rome. Raging for nine days the fire reduced nine of the thirteen districts of Rome to ashes and rubble. According to the rumors that spread quickly in Rome, the fire is said to have been laid on the orders of Emperor Nero, to be able to sing from a tower of the downfall of Troy. The persistence of such rumors may be explained by the fact that part of the city was used for the construction of Nero’s new palace complex, Domus Aurea. Domus Aurea probably is the most impressive example of Neronian architecture. According to ancient historians, Suetonius and Tacitus, the wide spread complex, included an artificial lake, vineyards, cornfields, pastures and forests, populated with wild game and grazing livestock. We are informed that the buildings “seemed like cities” and offered an imposing view with a 120 feet high statue of Nero standing in the vestibule. Most of what has survived belonged to the part of the Domus Aurea, which is located on the side of the Oppian Hill. It is believed, that these 142 rooms belonged to the main building of the complex. The exact dimensions of the building complex are not known, yet. The entire complex, which was not finished at the time of Nero’s death in 68 AD, was rebuilt during the reign of following emperors. After a fire broke out in the residence building in 104 AD the upper floor was levelled and the basement buried under the Baths of Trajan (106-109 AD). During the time of Emperor Trajan the basement was filled up and all windows were sealed, to use the area as the base of Trajan’s Baths. Of the chambers added to widen the base, two collapsed in 2010, making immediate restoration measures necessary. 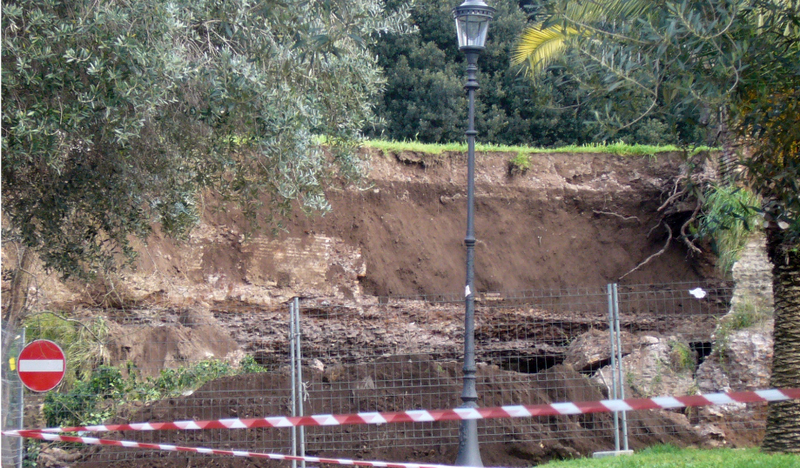 The reason for the collapse was a lack of structural safety, caused by the public park above Domus Aurea and looting. The ruins were used as a source for building material since the Middle Ages. What remained was only the inner part of the wall, the so-called nucleo, which consists of low-quality mortar and bricks. Due to the moisture this exposed nucleo was damaged over the centuries. Collapsed chambers at the base of Trajan’s Baths | © DAI Rome. The first challenge for was to set up and implement a restoration concept that took into account all aspects of the building. In addition to the restoration of the static safety of the building, measures to prevent the ingress of rainwater were implemented. To stop excessive air circulation, which can result in the transport of dust particles and salt efflorescence in the masonry, air locks were installed. Furthermore, the algae infestation had to be reduced and roots, damaging the structure, were diminished. The park area covering Domus Aurea was redesigned in accordance to the restoration concept. Since November 2014, Domus Aurea is open to guide tours again on the weekend, thanks to the work of Parco archeologico del Colosseo (MIBACT). The measures were funded by the Italian State and the German Archaeological Institute. As part of the Cultural Preservation Program of the German Federal Foreign Office, the German Archaeological Institute (DAI) conducts training courses within the National Corporation for Antiquities and Museums (NCAM). Additionally a digital register for the archaeological sites and monuments of Sudan is being developed since 2017. Sudan has a rich archaeological heritage, including large monumental buildings such as pyramids, temples and fortifications. 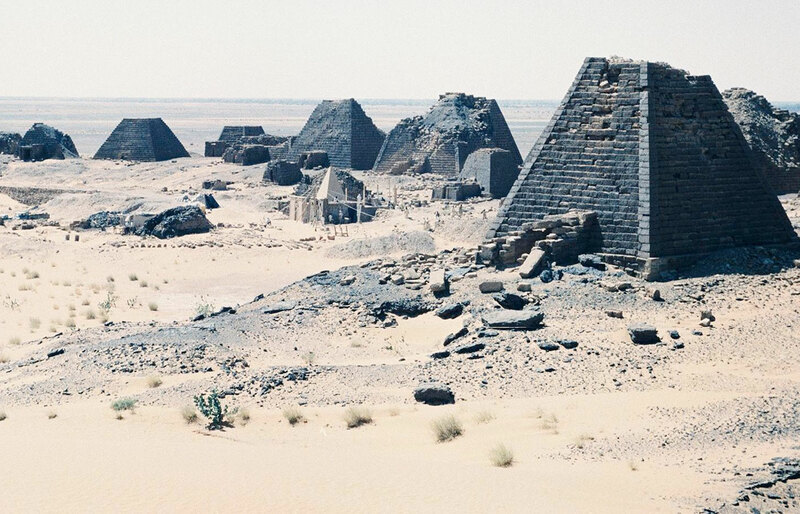 Although archaeological excavations and research projects have been carried out in Sudan since the 19th century, the country has no digital register of its archaeological sites and monuments. This increasingly creates problems for NCAM and the international research community. To protect and explore archaeological sites and important monuments the registration and identification of cultural heritage is essential. Therefore, trainings were conceptualized and the work on the digital register began. In addition to practical, technical and theoretical foundations, pragmatic approaches of curating analogue and digital data are in focus. Corresponding to local requirements the approach is implemented and applied with the accompanying development of an associated database. The basis of the digital register is formed by data compiled by the digitized archive of Friedrich W. Hinkel. The data is based on 14,000 archaeological sites in Sudan. Foto from the archive of Friedrich Hinkel. Pyramids of Meroe | © DAI. 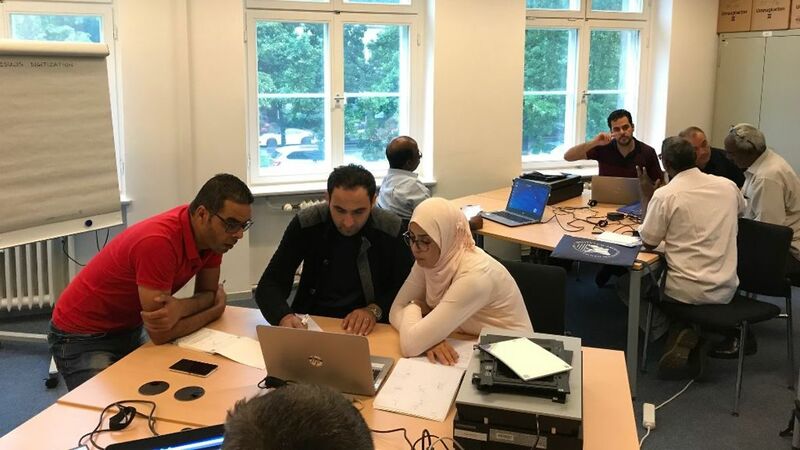 In July 2017 a three-week summer school in Berlin was conducted. Representatives of the NCAM, as well as participants from Tunisia and Palestine attended the program. The basic structure of the register, digitization techniques and the curation of data were discussed during workshops. Finally, the participants developed a plan for the realization of a digital register for the cultural heritage sites of Sudan. In autumn 2017, a two-week stay of DAI employees in Khartoum followed. During their stay the first stages of the jointly developed plan were implemented. Together with their Sudanese colleagues the DAI employees sorted and registered analogue data and in the process set up an archive at NCAM. The development and programming of the digital heritage register for Sudan will be conducted in 2018. The data collection and digital heritage registers are a relevant issues for the entire North African and Arab region. Therefore, the cooperation was extended to interested antiquity services of other member states of the Arab League. Egypt comprises ca. 14,000 objects, mainly silver gelatine glass negatives and acetate sheet film negatives. Since 2002 the German Archaeological Institute Cairo is involved in a restauration and training program. 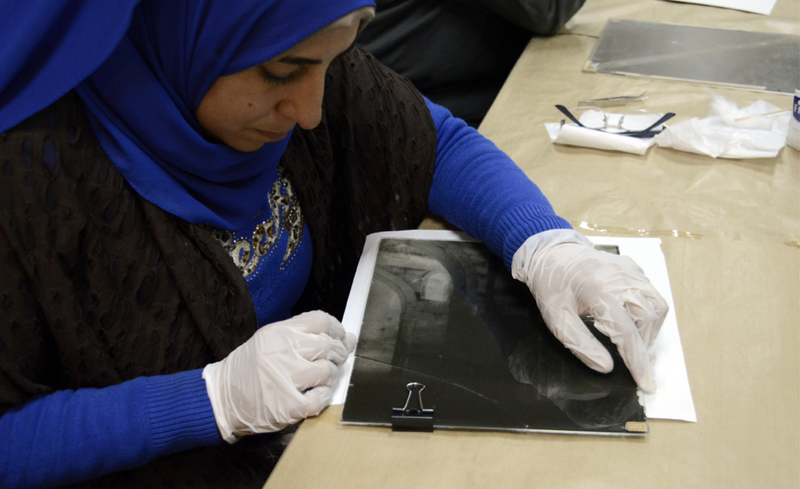 The project aims at helping to secure, safely store, and conserve the glass negatives and at training of local inspectors in order to create local conservation and restauration capacities. The restoration program is supported by the German Foreign Ministry. The Photographic Archive of the Comité de Conservation des Monuments de l’Art Arabe at the Citadel in Cairo contains approximately 14,000 photographs. The objects are mainly silver gelatine glass negatives dating into the first half of the 20th century. Only a small part of the archive consists of acetate sheet film negatives and albumen photographs, which were used in the 19th century. To this day the images, showing antiquities, monuments and ancient cities, have not lost any of their fascinating appeal. To store the glass negatives, special wood cabinets were made, presumably 1931. The glass negatives were stored in the boxes in upright position. 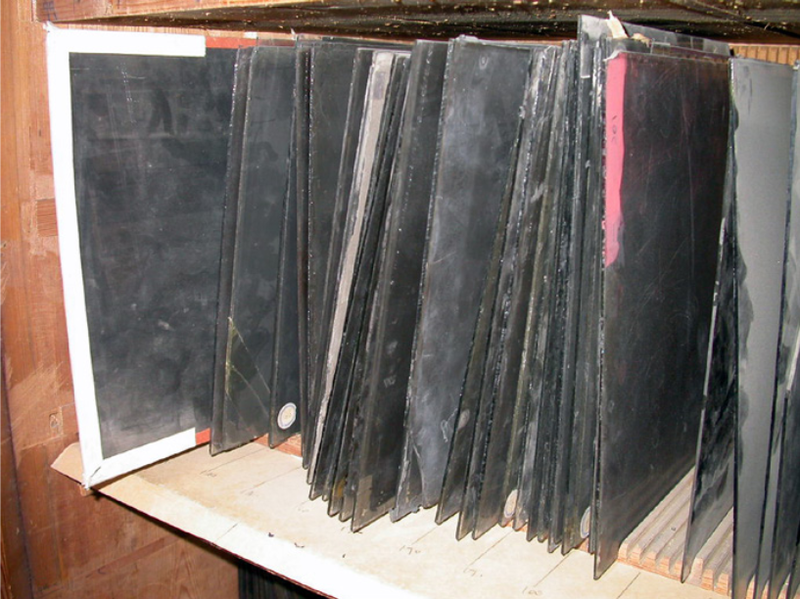 The improper handling and storage of the panels led to significant damage and contamination such as breaking, silver-mirroring, bacterial attack and insect infestation. Storage and resulting damages. (© G. Harich-Hamburger). Between October 2002 and October 2003, the German Archaeological Institute Cairo carried out the first restoration phase. The glass panels were taken from the wooden cabinets and stored in envelopes and boxes especially suited for archiving photographs. The new material was imported from Germany. During the process the existing numbers on the glass plates were compared with the remaining registry book of the Comité and corrected if necessary. The boxes are stored today in newly purchased metal cabinets. However, due to difficulties on-site and significant damage to the panels, further work is needed. In order to complete the restoration of the glass negatives, a second restoration phase was carried out in 2015/2016. The major focus was on the practical training in restoration of the inspectors. After completing the final phase, the team of the citadel is now able to restore almost all the state images on the glass negatives independently. With the restoration of the glass negatives and the training of the inspectors on the citadel, a first step has now been taken. With the help of the trained staff of the Center of Documentation, this important restoration project can now be completed in near future. Cooperation: Ministry of State for Antiquities Affairs/ Egypt, Center of Documentation, Citadel; Institut Francais d‘Archéologie Orientale du Caire. A photo exhibition opened in Bergama, presenting photos from the Pergamon excavation and giving insight into the valuable cultural heritage of the city. 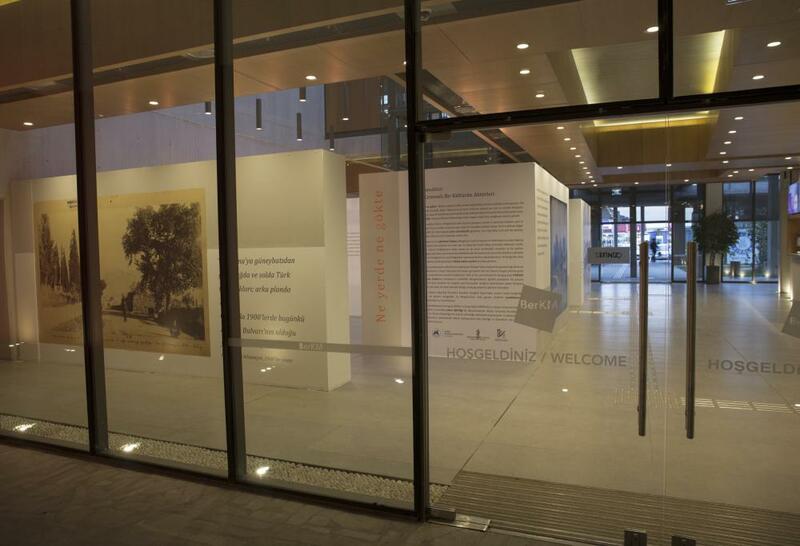 The exhibition “Ne Yerde ne gökte – Neither in heaven nor on earth. The inhabitants of Bergama and their cultural heritage: Actors of a complex past “ was opened in Bergama on May 4 in the cultural center of Bergama. The four-week exhibition was conceived by the Istanbul Department of the DAI and was developed in cooperation with the Municipality of Bergama and other local institutions. The phrase “neither in heaven nor on earth” goes back to the geographer Katip Celebi, who described the coexistence of antiquity and the present in Bergama during the 17th century. The photo exhibition draws from the extensive collection of the Pergamon excavation. It shows how the lives of the inhabitants of the modern city of Bergama are intertwined in many ways with its history. The photos demonstrate in an impressive way how ancient, medieval and modern living environments are connected to each other. The photo exhibition in BerKM | © DAI. 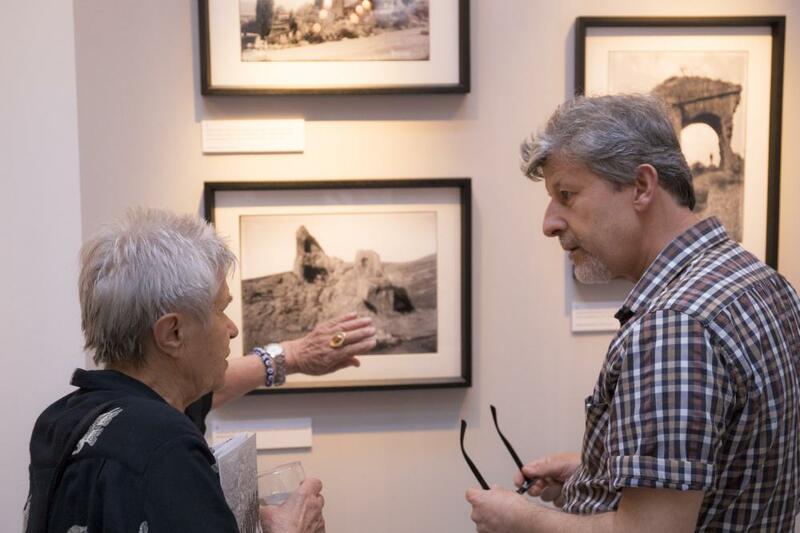 The exhibition was opened in the presence of the mayor Mehmet Gönenç, chairman of the Cultural Foundation Bergamas, Muammer Esen, the representative of the German Consul General in Izmir, Elke Grabarec, and the longtime photographer of the Pergamon excavation, Elisabeth Steiner. In his opening speech, Mehmet Gönenç mentioned the importance of the work of the German Archaeological Institute and the Pergamon exhibition for the inhabitants of Bergamas. In light of the exhibition, he emphasized that the DAI photo archive in Istanbul is important not only for the documentation of historical buildings, but also for social coexistence in Bergama. In her welcoming remarks, Elke Grabarec said that the exhibition’s aim to promote awareness of Bergama’s cultural heritage reflects a key requirement of the European Year of Cultural Heritage 2018 . The title “Sharing Heritage” points to the high potential of our shared cultural heritage for identification, participation and development. The exhibition is part of the DAI presentation Entangled History in the course of the European Cultural Heritage Year 2018. Further information and events can be found here. 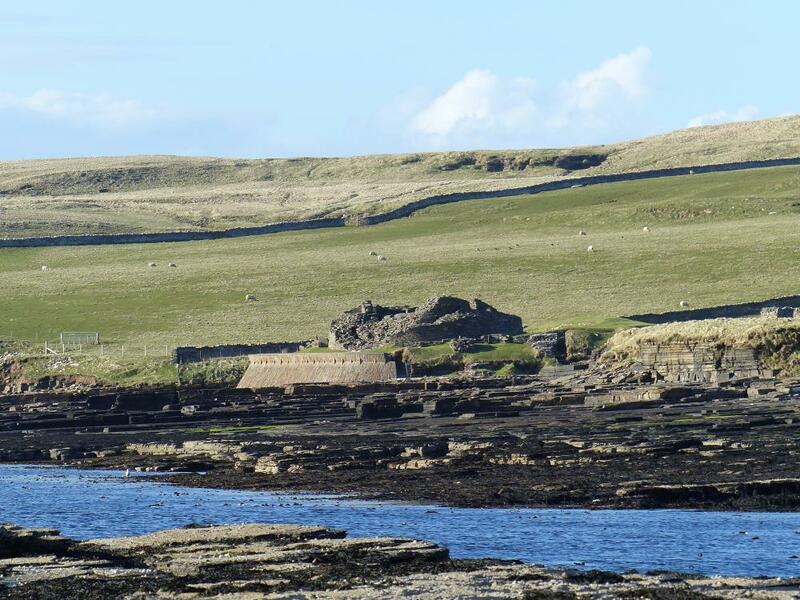 On the Orkney island of Rousay, a team of the Roman-Germanic Commission explores coastal erosion-threatened monuments, such as the megalithic tomb and the Iron Age Broch of Midhowe and the Viking settlement of Westness. The convenient location on the Atlantic Ocean and the immediate proximity to the main island have drawn people to this stretch of coast for over 4000 years. Three megalithic tombs, three brochs (round towers), a Viking settlement with a mooring point, burial grounds, as well as the Norman Skaill House and its church bear witness to a long history of settlement. All these well-known monuments on the coast are endangered by the coastal erosion and partially destroyed already. But what else is there in the ground that gets lost undocumented in a further destruction of the coastal landscape? A large number of monuments will not be preserved. Experts estimate that some of them will be irretrievably lost within a few years. Therefore, documentation and research conducted by the Romano-Germanic Commission (RGK), together with the partners of the University of Highlands and Islands (Kirkwall), are all the more important in preserving as much information as possible about the archaeological structures. The Midhowe Broch, Rousay, provided the perfect backdrop for the signing of a Memorandum of Understanding between the Archaeological Institute of the University of the Highlands and Islands (UHI, Kirkwall) and the Romano-Germanic Commission (RGK, Frankfurt) of the German Archaeological Institute. In the presence of Orkney Island Council representative Harvey Johnston, First Director of the RGK Prof. Eszter Bánffy and Prof. Jane Downes (UHI) sealed their intention to carry out joint research projects. The newly forged alliance will hopefully not only give us more insight into the archaeology of the island but help to protect the valuable cultural heritage of the Orkney Islands. The TransArea Network Africa meets again for network strengthening and capacity building. During the meeting in April TANA members presented their work. Among otherst the important work of a rescue project, conducted to protect the temple complex of Philae from flooding, was demonstrated on-site. The TransArea Network Africa (TANA) was founded in 2014 with the intention to not only connect the individual DAI projects located within Africa but to overall strengthen the field of Archaeology on the African continent. Since initiation, regular meetings have taken place in order to ensure a successful implementation. This year, TANA met in Aswan, Egypt. Day one of the meeting kicked off with presentations taking place in the very fascinating Nubian Museum. After a brief welcoming, Egyptian colleagues and TANA members had the opportunity to introduce their projects. A simultaneous interpreter translated the presentations from English to Arabic and thus enabled the participation of the local population. Day two and three focused on the regional archaeology. 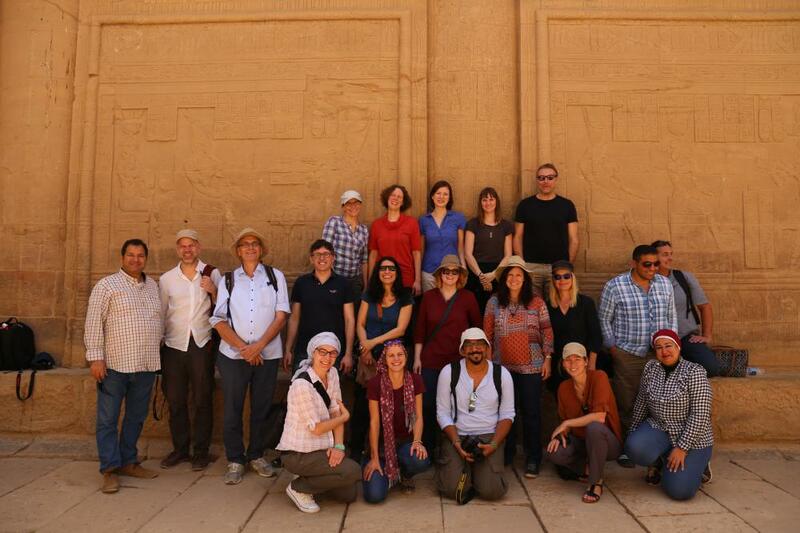 A field trip to the temple complex of Philae demonstrated the remarkable work of a rescue project conducted in order to preserve the Temple of Isis and others from the flooding of the island. As presented by the Egyptian colleague, Shamiaa Magdy Eid, the temple complex of Philae was only one of many to be disassembled and re-erected due to the building of the Aswan High Dam. The remains of early rescue measures, indicating the original site of the temple, are still visible and can be seen not far from the new location. The day was rounded off by a tour of the excavations of the Elephantine. After giving an overview of the history of the Elephantine and its excavations, Johanna Sigl of the DAI Cairo Department passionately introduced her current project “Realities of Life” which focusses on the actual life conditions of the settlement during the Middle Kingdom. Johanna Sigle introducing her project at Elefantine | © DAI. 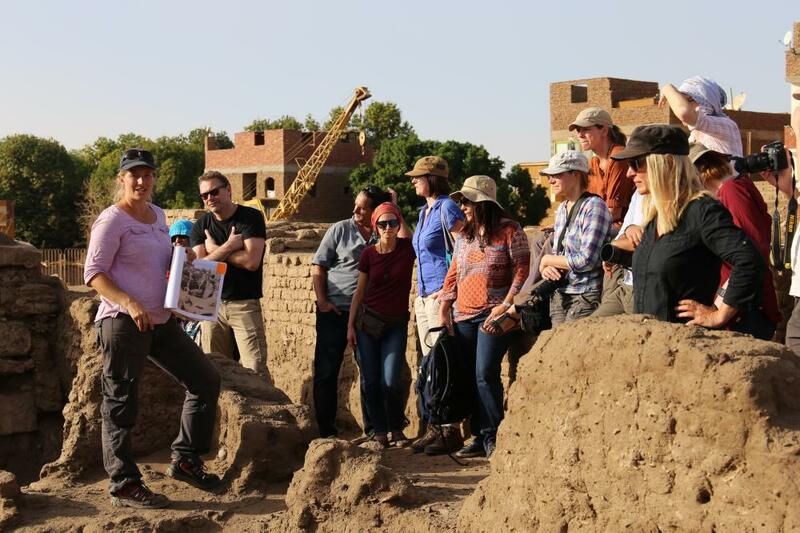 The excursions on day three led the group to Gebel Silsila West where the directing Egyptian archaeologist, Ahmed Said, gave the TANA members an exclusive tour of the shrine and quarry. The group subsequently visited Edfu. The director of the DAI Cairo Department, Stephan Seidlmayer, provided insight into the significance and context of the temple. The Aswan Meeting also marked a very important milestone within our e-learning project (MOOCs). After a long time of preliminary work, mostly conducted by Sofia Fonseca, we recorded some interviews of TANA members and are now looking forward to uploading the first contributions. Thanks to the joint effort between the DAI Berlin Head Office, DAI KAAK, DAI Cairo Department, and our Egyptian partners from the Nubian Museum in Aswan and the Ministry of Antiquities of Egypt, TANA was able to host a successful meeting and ambitiously looks towards the future in which TANA continues moving forward towards the implementation of its goals. Image: TANA-Group at Philae | © DAI.